Have you ever seen elephant? if you are Thai or live here, this is not an excellent question. In Thailand Elephant is everywhere, in architecture, temple, palace, museum, bridge, souvenir or the real elephant walking along the roadside. Thais are firmly close to elephant. The oldest evidence confirming the relationship between Thais and elephant is the 5,000 B.C. art cave. The art cave at Pha Tam, Khong Jeam district, Ubonrajchathani which are pictures of wild elephants and elephant catching. 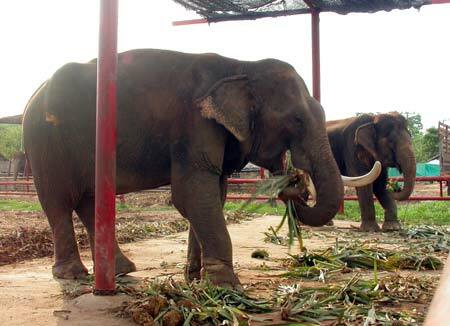 In the passed, elephant became Thais’ most important friend thanks to their usefulness. Elephant can assistant in construction hauling heavy construction materials. They are also vehicles. You can ride them around jungle or on all types of terrain. Siam history is full of elephant. 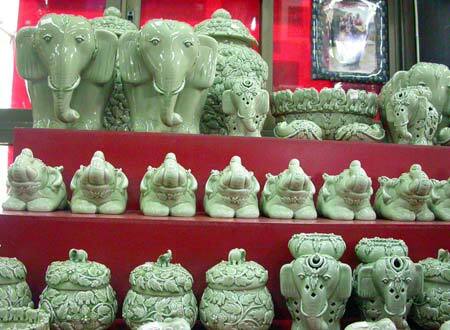 Elephant are auspicious animal showing King’s prestige especially the extraordinary one such as the White elephant or other strange color ones. Thais believe that the more white elephant the king has, the more powerful he is. In contrast, this belief causes many historical wars, snatching the white elephant, among Laos, Burma and Thailand. 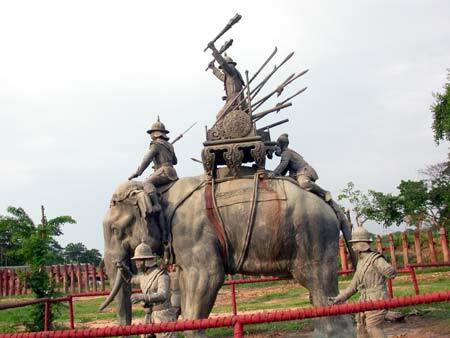 So the ancient Thai capital, Ayudhaya built a wild elephant catching’s place called Pa Niad. This corral is a valuable historical place showing the Thai ancestor’s wisdom in catching the large beast. Thais believe that God created elephants, divided to four families and subdivided to 16 types. There is an old textbook regarding elephant’s species which is the most oldest elephant textbook in the world. The three-headed elephant called Erawan elephant played the vital role in Thai history. The legend said that this elephant belonged to Indra, head of all gods, so you will see lots of Erawan elephant in Thai art. Bangkok logo has an Erawan elephant. Moreover, if you want to see the huge Erawan elephant building, you can see it at Erawan museum, Samut Prakarn province. 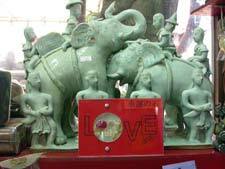 Everyone thinks that elephant is Thai symbol because Thais believe that elephant represents goodness and richness. 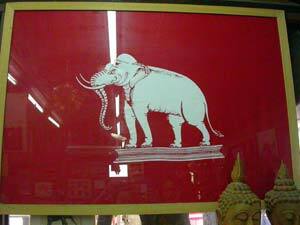 In the reign of King Rama II, elephant’s picture was stamped on Thai flag and then it was changed as you see today. Today it’s not wrong if you say that Thailand is the elephant’s country because elephant is everywhere in Thailand even along the roadside where they are not suppose to be. Surprisingly, no matter how much Thais love elephant, elephant is still in trouble and their home is destroyed day by day. Luckily, now there are more people trying to help these huge and friendly animals. 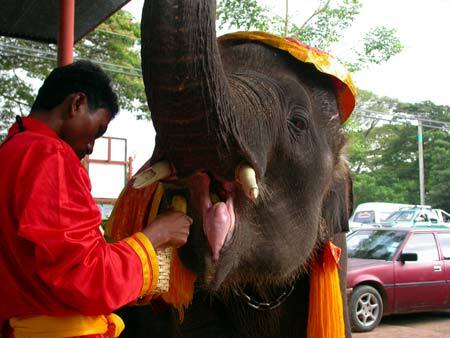 Although Thailand is the elephant’s country, lack of taking good care of these animals may lose them forever.